But few large companies have been able to become as agile as they need to be; unable to contract their reactions to ever-faster competitive threats, game-changing technologies, unpredictable regulatory changes and fluctuating demands for their products and services. Market forces are rapidly changing, leading these companies to attempt agility or get left behind. Disruption surrounds us. Turning on a dime has never been more important, more possible, yet more difficult.It’s a fascinating read and one that has many overlaps in our business, executive search for the brightest, most innovative healthcare companies. At Slone Partners, our clients span early-stage, growth-stage and mature precision medicine, life sciences,biotech and laboratory companies, which hire rapidly or smartly in response to successful scientific breakthroughs. According to the McKinsey Report, healthcare companies in Pharmaceuticals And Medical Products, along with Healthcare Systems And Services, rank themselves as average to above-average in perceived instability, while 38-44% they’ve already begun transforming towards more agile processes, practices and approaches. 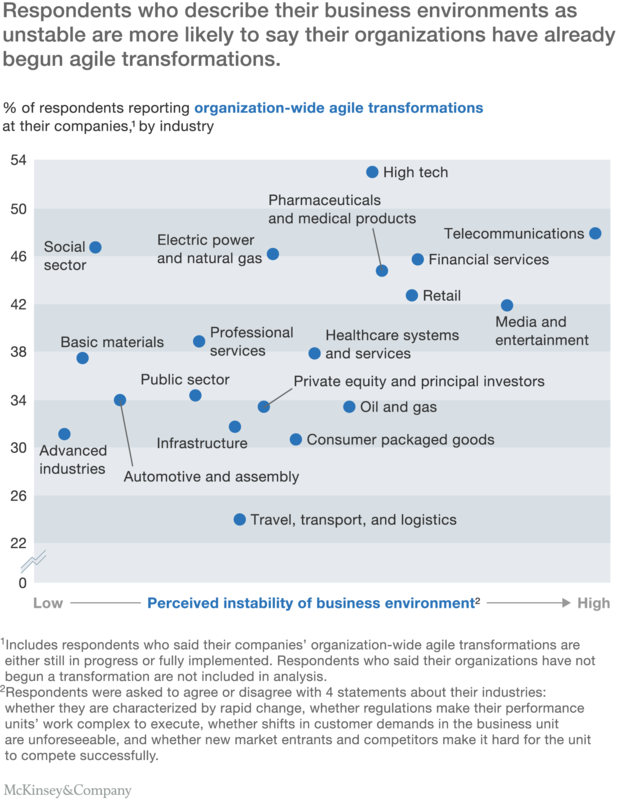 Also in the report, McKinsey’s respondents make a distinction between business units they consider to have achieved agility, compared to other units within their company which are slower and more rigid. What’s the main difference? The ability of those “organizations within organizations” to quickly shift both strategy and people, adding dynamism and – seemingly counterintuitively – stability. Who knew that being nimble also meant being more stable? For the past 17 years, our executive search practice has mandatorily included Culture Fit services, understanding how leadership candidates’ psychographic profiles mesh with career achievements, qualifications and technical expertise. 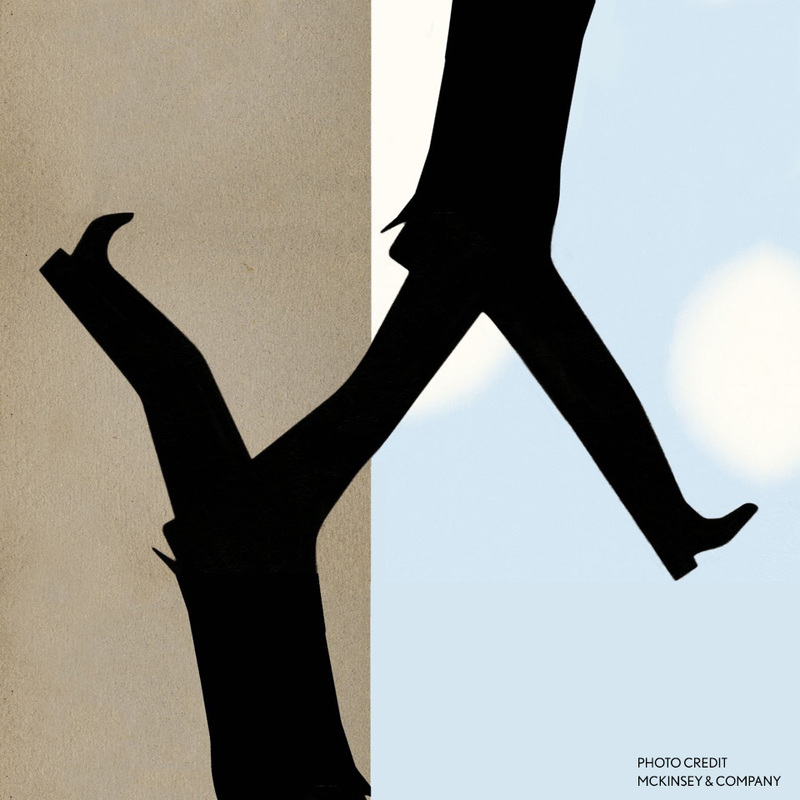 In the agile company, identifying those with greater willingness to change, flexibility and entrepreneurial spirit can often mean the difference between a good leader and an outstanding leader. To learn more about how Slone Partners emphasis on culture can benefit your organization, contact CEO Leslie Loveless at 812.298.9298.